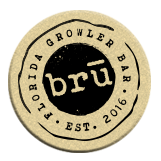 Check in and rate our Florida craft beers on the app. 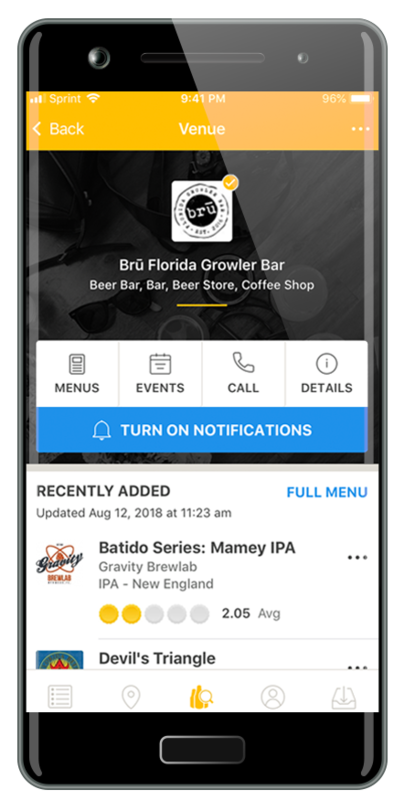 Also, be the first to know about upcoming craft beers and notifications when new craft beers are tapped! Kombucha is a non-alcoholic drink effervescent tea that boasts a long list of health benefits including probiotics, B-vitamins, electrolytes, antioxidants, and more. Give us a call to find out which Florida-brewed kombucha we currently have on tap. Nitro Coffee is a non-alcoholic cold-brewed coffee that is infused with nitrogen as it pours from the tap. The taste is smooth and slightly sweet, and the cold brew pours with a thin foam head on top. Give us a call to find our which Florida-brewed nitro coffee we currently have on tap. WHAT GOES GREAT WITH BEER? We know what pairs perfectly with beer. Savory snacks, delectable treats, and cool garb are waiting for you at BRU. Gourmet popcorn from Brown Bag Popcorn Co in Boca Raton, plus a rotating selection of jerky, charcuterie boards, and more. All Florida made! The softest beer tees you’ve ever let snuggle against you. Screened in Tampa. Deliciousness in a jar from St. Petersburg’s Urban Canning Company. A rotating selection of artisanal jams, mustards, chocolates and more to round out a gift (or eat all by yourself on the drive home). Hot Sauces, BBQ sauces, and spicy dip to up your hosting game! Unless you drink straight from the growler, you might want a few of these. Paintings, prints, and plants for sale all made by talented locals. Show your BRU love with hats, sunglasses, tote bags. Free hug with every purchase.